For those of you drinking copious amounts of wine to abate the teeth-chattering effects of winter storm Stella, we feel for you from California. Over here, we’re getting a sneak preview of spring after a seemingly endless winter of storms and rain. The upside of all that rain is the lush hillsides, flowing creeks, and gorgeous blossoms all around us. 80-degree days are making me anxious to pack a picnic and hike somewhere beautiful. 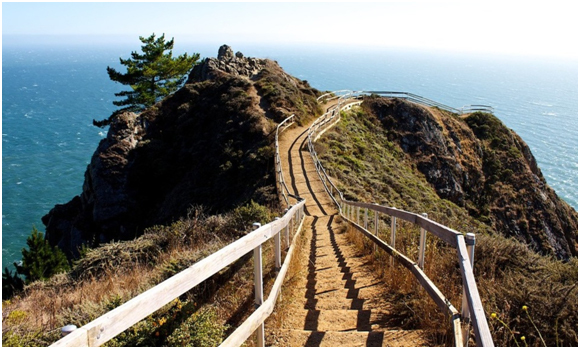 The Marin Beach Overlook. Photo courtesy of 7×7. But what’s a hike without some wine waiting in your basket picnic? 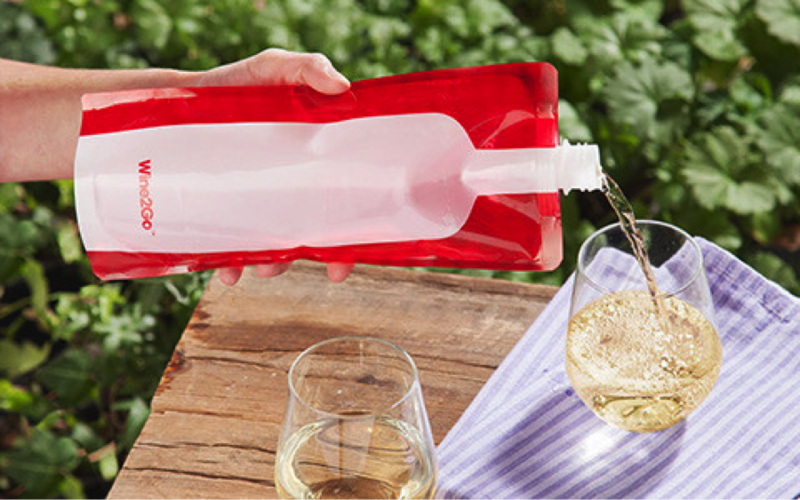 Since it’s too risky (and heavy, until we get those Popeye arms) lugging around a full bottle of wine, we rounded up the best options for on-the-go wine drinking. Whether you’re tailgating, getting active, boating, or waiting for that #*$&@($ blizzard to let up, these convenient choices have you covered. Photo courtesy of North Bay Business Journal. Eeek, these are called cuties! That’s reason enough to buy them. Okay, if you’re a more skeptical consumer than I, maybe the Rubin Family’s Wine Industry Award in marketing innovation will convince you to give Pamela’s Un-Oaked Chardonnay cuties a try. They’re 187-millimeters each, and filled with the same delicious white wine you may have tasted at the Sonoma estate. The small size means they would also be ideal for cooking without having to open an entire bottle. Their website describes it best: “Refreshingly fruity and light-bodied with a touch of sweetness, this wine is bursting with flavors of Golden Delicious apples, Asian pears and tangerine blossoms.” Sounds like the perfect poolside sip to me. You can buy Cuties on their website, as well as traditional bottles. Photo courtesy of Serious Eats. This company’s slogan is Take It With You, so you already know these are perfect for traveling. The “shatter-proof” glasses are also 187-millimeters each, and each stack retails for around $15. With four different varietals to choose from, you can grab one of each and satisfy even the pickiest campers in your group. Stack Wines does a great job of marketing, appearing at music festivals including the Governor’s Ball and other events like BeautyCon NYC. They’re available at select Whole Foods and small grocers, as well as online. I think that these would be a great option for a date, since they look a little classier than cans. They would look good in an Insta post, so you can show off your picnicking skills. Image courtesy of Copa Di Vino. Any Shark Tank fans out there? 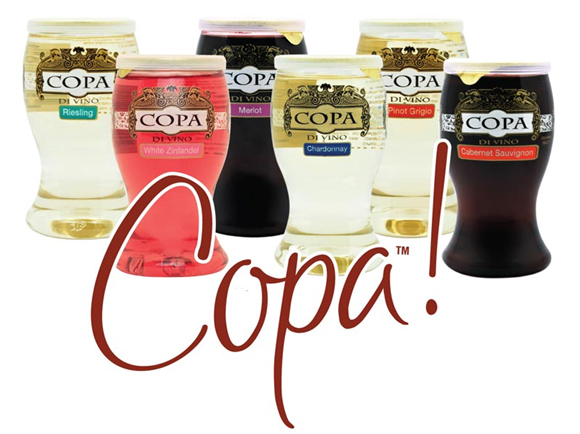 The show is my guilty pleasure, and Copa Di Vino is remembered as one of the biggest misses on behalf of the sharks. The episode is definitely worth a watch (lots of sass!) and investor Kevin O’Leary has said in interviews that he regrets not becoming part of the company. Hailing from Oregon, the inventors of Copa Di Vino grew up in a hiking-centric part of the country and created the perfect drink to go alongside a walk or backpacking trip. These are similar to the Stack wines, with a slightly different glass shape. Copa Di Vino also offers seven varietals, including a moscato, which perked up my ears! Moscato feels like the perfect beach drink. 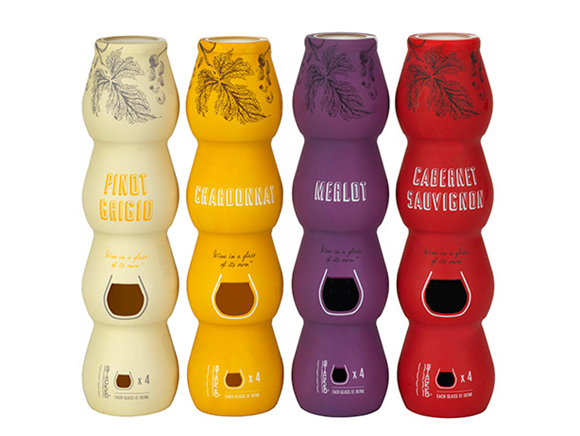 12 glasses are $35.99 online, a bit steep, but these would be a fun novelty nonetheless. Photo courtesy of New York Magazine. That hot pink rose packaging wins, hands down. 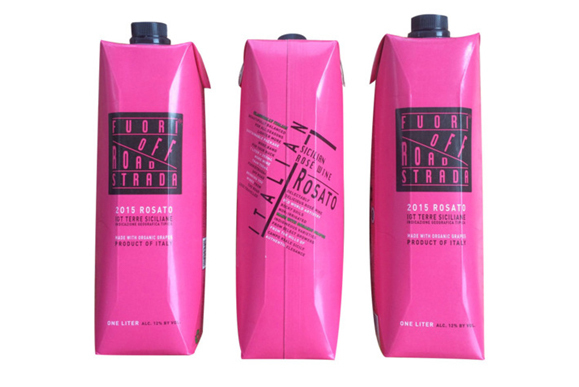 Other than the adorable color, Fuoristrada offers their wine in convenient 1-liter Tetra Paks. 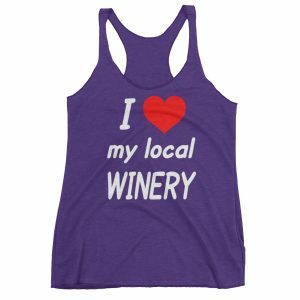 This is a great option for when you want to bring a little more wine along, or are taking a multi-day trip. Fuoristrada currently offers a Grillo and a Sangiovese, but this rose has also been spotted in stores before. I like that their wines are exclusively Italian-sourced, which makes them a great way to branch out while also being convenient. Tetra Paks are also the greenest option of the bunch, using 54% less energy to create and creating 80% less greenhouse gases than traditional glass bottles. The Grillo wine is available nationwide at Le Pain Quotidien, and in select independent supermarkets and wine stores. Hey Ben, let’s be friends, because you sound like a fabulous time. Where’s the best place you’ve ever enjoyed wine? Was it on a cruise ship, sailing the Keys? Maybe outside the tent on a warm summer night? Or maybe it’s right now, huddled in your down comforter, watching the waves of snow and popping the tab on a warm night in. Whatever your style, enjoy the shatter-proof drinks! Subscribe now and get 10% off your first blissful merchandise purchase immediately. We will send you a brief email whenever there's a new post, so you'll never miss an article. 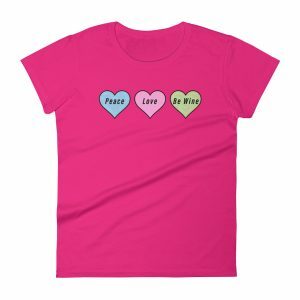 Plus, you will receive periodic special discounts on our blissful merchandise. We promise not to be a pest. Unsubscribe any time you like. And, of course, we won't let ANYONE else use our subscriber list. So go ahead, click here to SUBSCRIBE! 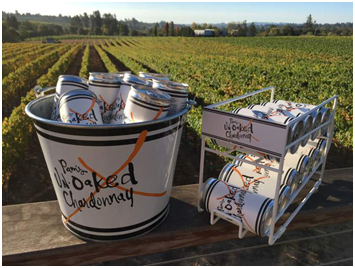 Want to suggest a winery, wine or event? 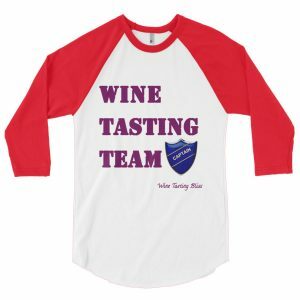 Send us an email at editorial@winetastingbliss.com. We'd love to hear from you! Don’t miss any bliss. Subscribe!